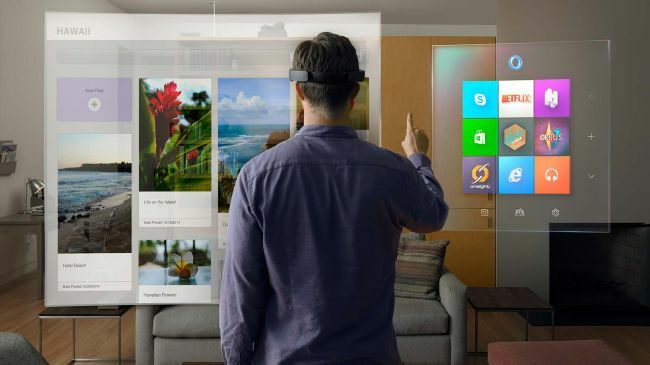 Hololens is augmented reality or mixed reality - call it whatever you like, but you should get the idea main that it is not virtual reality. You don not need to get pills to get into matrix or to get back into normal world. But last week from March 31, Microsoft let us see what it is actually like to use HoloLens on stage yourself or to buy actual developer edition. Current price is unrealistic for many people, but if you want to be first on the market it can make sense, for now it is $3000 and you have to wait in line, probably around 3-6 month to get it, but you can actually do it for real. Alex Kipman (technical fellow from Microsoft) worked on Hololens from idea to production for the last seven years, if you go back to the idea he first pitched to Microsoft, which became Kinect. When the motion-sensing Xbox accessory was released, just in time for the 2010 holidays, it became the fastest-selling consumer gaming device of all time. Finally, project was released to developers only 10 days ago. 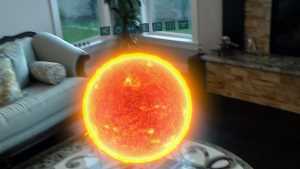 HoloLens is the most fascinating tech device I have tested in a long time. My friend Nancy is working as project manager in the Hololens core shell team and after it was released on Build 2016 few weeks ago Microsoft allowing people to show device and intrigue new developers to create apps for it. Nancy is working on the academy for developers that will help community to grow, she is going to help people like me who are excited to develop something new and be ahead of the game with developer gadget edition. It is very portable device. Opening up the HoloLens is a startling reminder that this is a self-contained holographic computer. Unlike the Oculus Rift or HTC Vive VR headsets, it’s completely untethered and doesn’t need to communicate with a PC or phone to project holograms into the environment around you. It's a Windows 10 PC that sits on your head. That’s impressive in itself, but it wasn’t always that way. Microsoft has spent years refining the headset and associated hardware so you don’t need a giant PC to use it. The depth sensing camera works in tandem with two "environment understanding" cameras on either side of the HoloLens. These also look like regular cameras from the outside of the headset, but they’re used to capture the world around you and help HoloLens understand where your walls and coffee table are. There’s also a 2-megapixel video camera at the front so you can record exactly what you see with the holograms included. Microsoft calls this mixed reality capture, and it’s a fun way to record what you see with the holograms that are being projected into your living room. The gadget looks like it belongs in the office but would also blend well in any living room. As is, HoloLens feels too delicate to stay clean and unscathed in, say, a construction site. HoloLens looks and feels like a premium device. Nothing about it screams "cheap", and that has already been reflected in the developer edition's price. The biggest issue with HoloLens's holographic viewing is that the field of view is limited to what amounts to the size of a monitor in front of you – equivalent to 15 inches. Looking outside that space, or moving too close into it, cuts the the hologram off or makes it disappear completely. These edges weren't visible during the wire mesh portion of the demo and therefore was more immersive. It's important to note that, while Microsoft's on-stage HoloLens demos have featured polished and seemingly advanced holograms, what I saw was not in the same league in terms of quality, complexity or functionality. 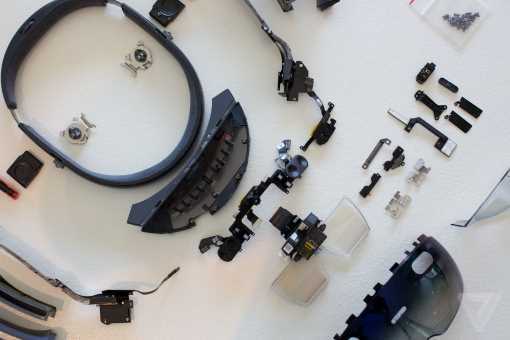 Neither the HoloLens software nor the hardware is perfect. But, if Microsoft can work out the kinks, HoloLens will be an immersive entertainment device that could easily fit in an office. 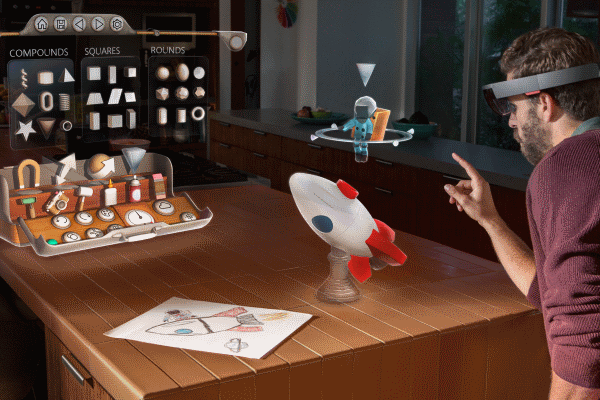 Frankly, HoloLens could transform how we interact with the world. These are lofty ideas, and the device as-is won't accomplish any of them yet, but the potential is there – and strong. HoloLens offers an unique AR experience. It's great build quality and attention to detail are pluses, and the application potential seems limitless. It's now a matter of whether Microsoft can fix some nagging issues, and how much it will cost regular folks. 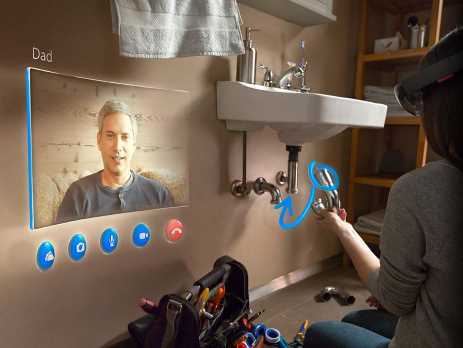 It’ll be a few more years before the optics, controls, form factor, and pricing all line up to a viable consumer product, but after spending about 30 minutes with HoloLens, it's clear that gadgets like it are pretty close to what a lot of us will be using one day.